Tokyo Game Show 2018 will kick off on September 20, 2018, but plenty of games are already getting their trailers for the event. FromSoftware’s latest game already showed up during Sony’s PlayStation Lineup 2018 event. The developer debuted a new trailer for Sekiro: Shadows Die Twice, and it’s a marvel, to say the least. In addition to a fresh look at gameplay, a few of Sekiro’s bosses entered the spotlight, too. In true FromSoftware fashion, the bosses come in a variety of shapes and sizes. The versatility of Sekiro’s gameplay adds to the boss lineup in interesting ways, many of which we are likely yet to see. For instance, there’s a moment in the trailer where an enemy traipses across a high-wire, while the player character, the Shinobi, looks on from below. No doubt the grappling hook arm will be instrumental in such fights. The bosses aren’t the only grotesque and mystical beings that pervade Sekiro’s dense world. A few grunts also find themselves on the wrong end of the Shinobi’s sword. Versatility in movement gets a tease in this regard, as we see the grappling hook make stealth opportunities available. FromSoftware is taking great pains to differentiate its new game from past titles. 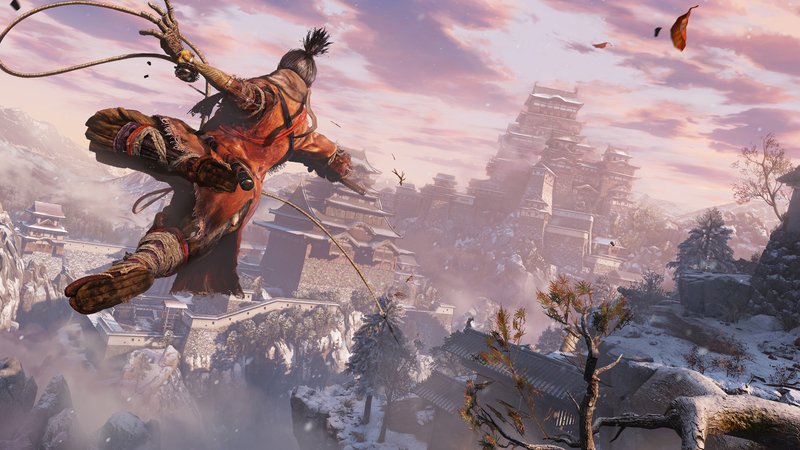 It’s particularly interesting, since the company has said Sekiro: Shadows Die Twice was nearly a Tenchu title. Sekiro: Shadows Die Twice arrives on March 22, 2019.